WhatsApp currently has end-to-end encryption but does share some data with Facebook. The NYT published the story on January 25th, and we’re still left wondering why on earth anyone thinks this is a good idea. The move would allow users to communicate between apps (despite no one ever asking for that functionality) and create a Facebook empire where a lot of people didn’t know it already exists. It’s a risky time to pull a stunt like this since it’s clear that Facebook can’t be trusted with our data. Then again, for those who don’t know that Instagram and WhatsApp are owned by Facebook, it might be a nice wakeup call. Even if you’ve closed one online account, you’re not far from the reach of Mark Zuckerberg. It’s going to be a big job, technically speaking, and it’s going to be a fascinating challenge for programmers since all of the messaging services will need to be reconfigured from their very foundations. They were all developed by different people at very different times and despite being owned by Facebook for years, Zuckerberg has promised over and over to not interfere in their operations. 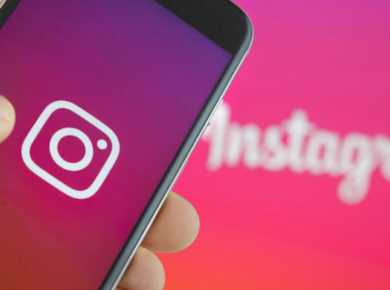 Perhaps it’s no longer so perplexing that the original founders of WhatsApp (Jan Koum) and Instagram (Kevin Systrom and Mike Krieger) all left Facebook last year. This news comes on the heels of a couple of things that should make us all very suspicious. Not just the seriously awful privacy transgressions and unwillingness to reign in demonstrably dangerous and subsequently deadly hate speech it lets fester on its platform, but cover-ups of privacy violations, and a ridiculous new idea to try to win back younger users. The latter got a good laugh in the “How do you do, fellow kids?” manner in which it was certainly not intended. TechCrunch called it out immediately and got Facebook to admit it was “privately testing LOL as a home for funny meme content” with a more formal admission later that “We are running a small scale test and the concept is in the early stages right now.” It’s clear that Facebook is trying to reach a younger audience that just doesn’t want it and its desperate trying-too-hard-to-be-cool strategy is bound to fail. But with the merger of 3 messaging apps, it doesn’t have to be cool, it can just extend its tentacles to draw us in and remind us all that communicating with one another is (and has long been) under its watchful eye. There’s a good chance this will blow up in Zuckerberg’s face and drive more people to the one app he’s continuously tried but failed to acquire, Snapchat. And there’s plenty of opportunities out there for new apps to emerge and gain popularity by ensuring end-to-end encryption and no connection to Facebook (though it’s a hard sell to get all of your contacts onto a new platform). The coming days and weeks are going to bring some good hot takes from privacy experts and tech journalists that are going to be worth paying attention to. This isn’t a story you should let pass you by in the news cycle. One thing seems blatantly obvious to me here: Mark Zuckerberg, for all his power and influence, just doesn’t get people, certainly not young ones. He seems not to understand how people want to use his platform and that any “cool new ways” he comes up with to expand his brand probably aren’t going to take. The only way for Facebook to draw in new users is going to be by force – acquiring and assimilating the platforms they already use. Facebook is really going to need to dial down the creep factor in 2019 if it wants to stay relevant. More bad press is just going to open up a bigger gap for new platforms to emerge and promise everything that the OG social media giant can’t.